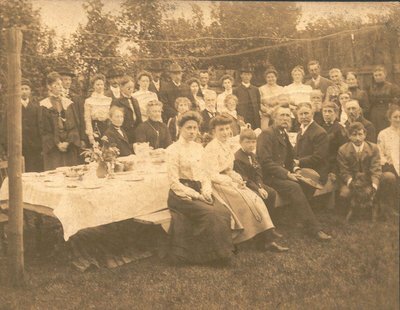 A photograph of a luncheon at Richmond Hill Presbyterian Church. Rev. James A. Grant is in the rear row on the right.